Just a quick update about the beneficiary animal adoption and rescue programs for the Scales and Tales: Finding Forever Homes benefit anthology that will be available at the 2016 San Diego Comic Convention (or Comic-Con International as they’re known now) and the August signing at Dark Delicacies owned by Del and Sue Howison. ALL proceeds from the sale of this book, after we reimburse our generous sponsor, will be donated to three special animal rescues. 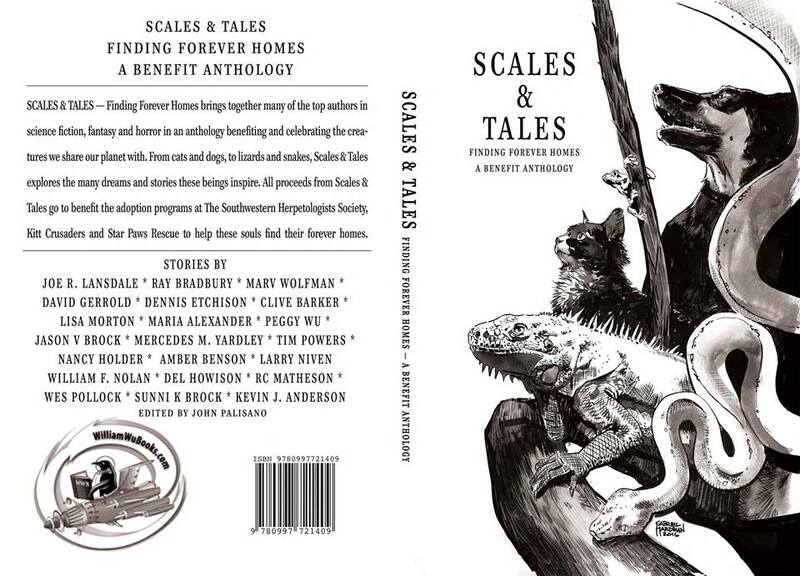 Half the proceeds will go to our scaly friends and the other half to our furry friends. Our scaly friends will be to the Adoption and Rescue Program at the Southwestern Herpetologists Societywww.swhs.org, and our furry friends will be split between the doggies at Star Paws www.starpawsrescue.org and the kitties at Kitt Crusaderswww.kittcrusaders.org. A big call out to each and every person helping to create this benefit anthology who has generously donated their talents, their time, their art, and their stories, all out of their love of animals. We thank you.